The Organic Stream Talk Show is a podcast about organics recycling and soil management featuring experts and key figures in the environmental sphere. We focus on sharing their insights, experiences and best practices in collecting, composting and bio-digesting organic material. Subscribe today to stay up to date with the latest stories from the field. In this episode, we bring you a detailed update on the current status and challenges facing the Anaerobic Digestion sector today. With industry experts Jing Liu and Mario Rosato, we discuss the need for a better understanding of the AD process to improve operational efficiency, policy changes that support renewable energy and environmental safety, and for closed-loop systems that favour local abundant feedstocks over the use of energy crops. And in part two of our episode, we bring you a briefing from Ecomondo 2015, sharing insights from the key figures we spoke to at the event last month. You can find video briefings and material from this event on our Events Page. Lund University is recognised globally as one of the top research-led comprehensive universities. The university and its Faculty of Engineering is consistently ranked as one of the top 100 universities in the world. Responsible for research and postgraduate education in different engineering subjects, architecture and industrial design, Lund University’s Faculty of Engineering is today world-leading in a number of fundamental and applied fields, such as nanotechnology, combustion physics, automation, chemical & environmental engineering and biotechnology. For more, the Lund University website, and the Department of Biotechnology page. Bioprocess Control Sweden AB is a technology provider in the area of advanced instrumentation and control technologies for research and commercial applications in the biogas industry – exporting to more than 45 countries around the world. With a portfolio of smart instruments in the area of substrate analysis and process simulation, Bioprocess Control offers technology solutions that both stabilise and unleash the true potential of a biogas plant. For more, visit their website. Main picture by Peter O’Connor. Some rights reserved. THE ORGANIC STREAM: So today we’re going to be talking about the state of the anaerobic digestion sector today, and what we need to do in order for the sector to expand and improve, and you both have many great things to say on this matter. But when we were discussing the content of the show together, the key point you both brought up was that the A.D. industry is not focusing enough on optimising operational efficiency in biogas plants. So for our audience, we should start with a simple introductory question. So Jing, can you tell us what operational efficiency is, and what does it look like for A.D. or biogas plants? JING LIU: Well first of all we need to understand the difference between the efficiency and the performance of the operation. Also, I think the efficiency and performance should match the goal of the process – the goal of the operation needs to be clarified. In fact, the goal of the operation might vary. For instance, in the traditional operation for waste and wastewater handling, the goal is to match the discharge standard. However, for renewable energy production, the goal is to maximise the energy production and to insure the profitability by improving the utilisation of the process unit, and increasing the mass and the energy throughput. And there might be conflicts between those two operational goals. So finding a balance is the key. We need to know that it’s seldom the case that plants are designed for optimum performance. TOS: Right, so they’re not always designed with this in mind. And Mario, can you share your thoughts on this as well? MARIO ROSATO: Yes, I have more field experience in this sense, and I can say that an anaerobic digestion plant can be considered optimal if it has been designed to be optimal by producing the maximum amount of methane per cubic meter of digester, and producing the maximum amount of methane per tonne of feedstock fed to the digester. These are usually opposite criterions, because one excludes the other. And at the same time, the plant must be stable enough in its operation – and I mean stable in the sense of maintaining a constant gas production with varying quality and quantity of feedstock, which is quite a tough goal to reach. So this is why a plant, to be optimal, must reach a compromise between these opposite constraints in the management. TOS: Okay so it’s all about compromising, which can be quite tricky. So Mario, if there isn’t a focus on operational efficiency, what is the focus? Can you maybe give us a brief overview of the AD sector today in terms of the trends? MR: Yes. In the European Union and the United States, the trend is to build plants as big as possible. The reason for that is a kind of economic scale. Usually the plant builders say that plants must be very big in order to be stable in operation, which is not completely true. A plant is not more stable or efficient because of its size; the plant is efficient because of its management. The other extreme is India or China, where the policies have lead people to build very small plants, usually at household level. In this case, the plants are poorly managed but nevertheless they are efficient for the scope they have, which is just to produce a bit of energy for household use. It must be noted that regardless of the different national policies towards big or small-scale plants, there is very little political drive to make the plants efficient. It’s a pity, because a plant, which is not efficient in its operation, regardless of the size, produces a digestate, which is usually used as fertiliser, but if the plant is not efficient enough that digestate is not completely digested. This means it still has a residual methane potential and this residual methane potential means that greenhouse gasses will be emitted to the atmosphere. So the main environmental benefit of anaerobic digestion is being lost because of inefficient management. And on the other side, if you see the management of the plant from the economical point of view, an inefficient process is not extracting all the methane possible from that feedstock, so the result is that the economic performance of an inefficient biogas plant is also poor. 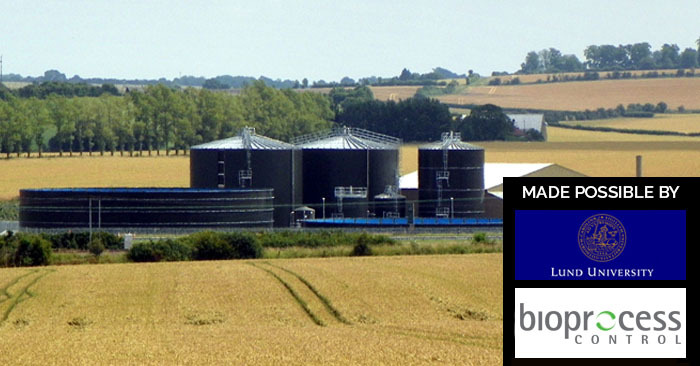 TOS: Okay so inefficient management is impacting the profitability of biogas plants – whether they are big or small, as well as the environment and there is very little political drive to change this at the moment. Jing would you agree here? JL: Yes I fully agree, but maybe I should add some additional comments. In my point of view, a big plant does not necessarily have high efficiency, although big biogas plants should have a much higher interest in achieving high efficiency because the economic and performance impact is so big. But unfortunately this is not always the case. The businesses are focused on the plant construction and really little has been done to ensure a better understanding of the process, the process dynamic – basically, how to improve the operation. So as a consequence, in many cases we treat the biogas digestor or plant as a “black box” machine. People receive unknown substrates and just dump them in, without knowing what they’re putting into the plant – and how can you expect to get an efficient and stable performance without knowing what you’re dealing with? In fact, the A.D. plant should be considered as, for example, a bacterial farm, or living organism – just like an animal farm that requires care and follow up. So we need to really care for the healthy level and growth of the bacteria, make sure they’re in the best condition to be able to convert biomass to bioenergy. So this is the situation. Even though the European biogas industry is considered more advanced in general, I think this also applies to European counties as well. So the situation really applies to the whole biogas sector, which urgently needs to improve. TOS: So right now we’re operating without much knowledge of the process itself – and there are a lot of areas that the sector needs to improve on. Mario, you’re quite aware of the issue on the ground, can you share an example of the environmental and economic consequences of our current situation? MR: Yes, I know the Italian biogas market well, and in the Italian reality, the industry does not earn money on making efficient plants or on the engineering of the plants, what actually gives money to the plant builders is the size. That is – the amount of concrete casted, or the amount of steel employed for building the plant. So this means that such gigantism can only be reached for plants which are in the range of a hundred kilowatts to one thousand kilowatts. And these plants are mainly designed for running on corn silage. Corn silage is not necessarily the most sustainable feedstock for making biogas, but it is very stable in its production, and so since said plants are owned by banks and capital groups, this substrate somehow ensures the owner of the plant that he will be able to recover the investment in a certain amount of time and have a certain profitability. But if we analyse some statistics that have been conducted by an agricultural association in Italy, in this moment ninety percent of the energy produced in such biogas plants comes from the corn silage, and not from the manure. And on the other side, only a small amount of the manure (let’s say about ten percent) is actually being digested. The ninety percent remaining manure is just being thrown to the field without being digested, so the ecological potential of anaerobic digestion is being lost, which is actually polluting the manure before sending it to the field as a fertiliser. TOS: Right, so instead of using the available manure, they’re growing energy crops, which goes against the notion of sustainable distributed energy and closed loop systems. MR: Sure. Another aspect is that growing corn requires a lot of fossil fuel input for pumping water, etc. 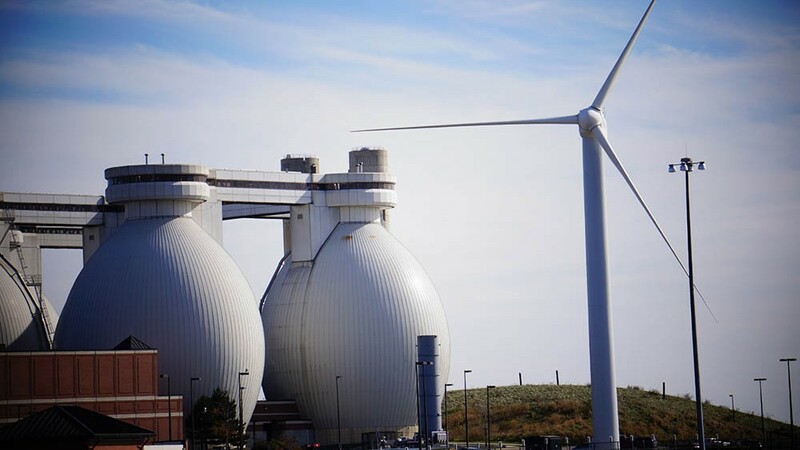 So producing electricity with biogas means that about sixty percent of the total potential energy of the biogas itself is being lost as heat. This energy lost as heat must be added to the energy put to the cultivation of the corn. That means that altogether, the amount of Co2 emissions to the atmosphere is higher compared to other renewable energies. Finally, these plants that are owned by banks and capital groups were built with the purpose of benefitting state subsidies. So it’s actually the Italian citizen who is paying for the subsidies for renewable energies, and this means an increase in the cost of the electric bill; and a kind of unfair social treatment of the resources, because that excess money being paid by the citizen is going to banks and capital groups which sometimes are foreign and they then take the money out of the country. So the volume driven approach has brought, at least in Italy, an increase in greenhouse gas emissions, a decrease in biodiversity, and to the rise of citizen committees who are protesting against biogas plants – even those plants that are run correctly. TOS: So this approach is really doing damage to the whole industry, the environment and the local citizens in Italy. So clearly something has to change, and we’ll be focusing on this change now. Jing – can you tell me your thoughts on what we should be doing – where should our focus be, what are the challenges we face, and how should we approach planning and designing A.D. plants in the future? The right technical knowledge and facility that’s well able to increase the efficiency of the plant and consequently lead to a more profitable operation. The right feedstock is super important. Feedstock is the fuel for the A.D. plant. Without knowing the feedstock or how to properly select and manage feedstock, it’s hardly possible to enough good quality fuel to power the A.D. plant. I mean, this is the number one priority in many cases. 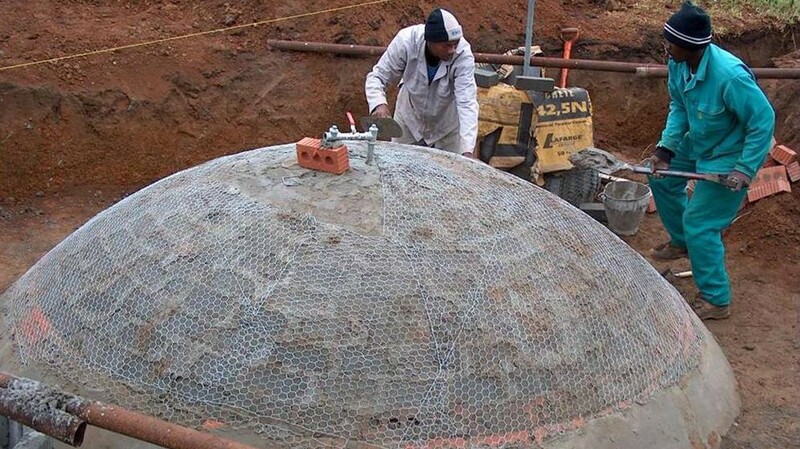 The second aspect is having the right plant design and construction. In reality, this is not always the case. Imagine that the steering wheel is locked when you drive a car – how can you turn your car? If there’s an object in front of you, you will hit the object. That’s sometimes the situation in the A.D. plant. So the future biogas plant and design should meet the new operational demand. The third challenge, or aspect, that I’d like to bring up is that we really need to have the right instrument, process optimations, and supervision control. Nowadays, many A.D. plants lack basic instrumentation needed to understand the status of the operation. In the control world we say, “If you don’t understand the process, you are never able to control the process”. With too little process information it’s impossible to steer the process towards optimum conditions. So there is an urgent need and we need to get more information and analyse more. The last aspect that I’m thinking about is having sufficient process knowledge and competence of the operator. Again, even if you get all the infrastructure – the right fuel, the right plant, the right instrument – somebody still has to manage, or drive, it. And this requires knowledge and competence of the operator. Only in this case can the industry move forward. Quite often I use two examples. In one I refer to the A.D. plant as a bacterial farm, and in the other I refer to it as a car. A car is like the biogas plant itself, and you need a good car. The fuel is like the feedstock, and you really need the right feedstock to feed into the plant. And the driver…even if you have the best car and the best fuel, the car doesn’t move without a skilled driver. It’s the same for the biogas plant. You need to have experienced, knowledgeable operator and process engineer to steer the operations. TOS: So with the right technology, knowledge and training, AD plants can greatly improve their operation. I’d like to discuss an example of how exactly this can work on the ground, and the benefits it can have. Now, Mario, you were involved in rescuing an AD plant in Italy – where the owner had invested millions in trying to figure out what was going wrong with their plant. The plant was rated as 1 mega watt, but only reached 60% in its of its capacity even though they were feeding it with more than 50 tons/day of corn and triticale silage. So Mario you were brought in to help figure out what the problem was, and – tell us what you did to find the answer? MR: So most of the time, the plant is being fed with fifty tonnes per day of corn silage, which is a lot of money if you consider the fact that corn silage is a valuable feedstock. And the problem was easily solved with just eighteen thousand euros. This amount was used to install a small laboratory in the facility. I trained the workers of the plant – who are not engineers or biologists, they are just manual workers. And this plant, I must say, was under-dimensioned, so I focused the strategy on producing the maximum amount of methane given the size of the plant. So I trained the workers to check the potential of the corn silage with the laboratory. We did some experiments with different mixtures of silage, cow dung, chicken dung, and some minerals that tend to activate the biological activity of the bacteria. So after a couple of months of tests with the instruments, we identified where the problem was. It was a lack in minerals, which was caused by using corn and triticale as feedstock. By adding these minerals – which are just mineral fertilisers that can be bought in any agricultural shop – the owner of the plant was able to bring the electrical production from a hundred and ten kilowatts to nine hundred and ninety-nine kilowatts, which is the legal limit allowed for that category of plant in Italy. So since then it’s been more than one year and the plant has been running stably. And I noticed a secondary situation as well, that the people working in that plant were highly motivated. You can imagine that going around with a dumper or bulldozer, loading silage from the trench and loading that in the digester is not a very interesting or amusing job – it’s quite a dead-end job. These people are now motivated because they’re not manual workers anymore, they are laboratorists. They are in charge of a very sophisticated instrument. Now any time they do something, they know why they are doing it, which is quite important because they are ready to assume risk and responsibility. So that is a side-effect that was quite positive for the operation of the plant and demonstrates that professionalisation of the operators is of utmost important to bring the plant to an optimum working condition. So we’ve covered a lot of the challenges and what needs to be addressed for the sector to be successful. But let’s talk about the bigger picture. For example – when we talk about increasing efficiency, it’s hard to justify increasing the quality and quantity of the output if there is no support or market for them. So Jing, I’ll put this to you: what key steps do we need to take for the sector to move forward in terms of policy and political support? 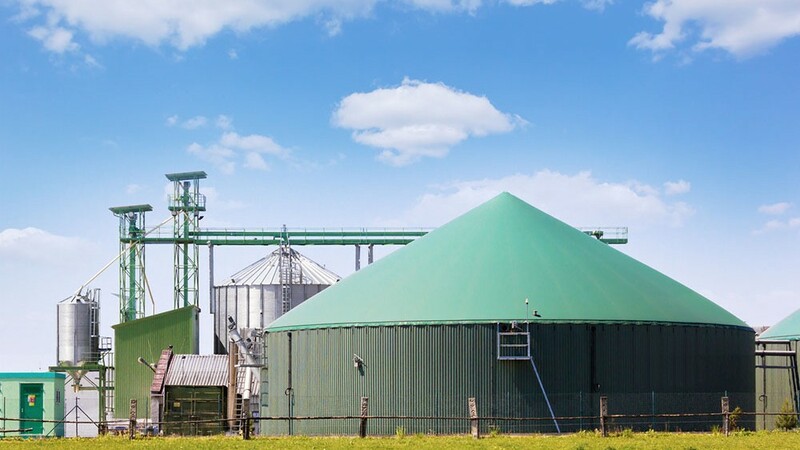 JL: If you look at nowadays, biogas has been generating quote an interest in the last decade, in particular we see the transition from using A.D. technology for only waste handling towards combined waste handling and renewable energy production. Even though right now the price of the energy is low, in the long we all know that the basing our economy on fossil fuels is not sustainable – not only because of the cost, which will increase as there’s less and less fossil fuel and will create the greenhouse gas effect – but it will also have a negative impact on national security. Fossil fuels are not always equally distributed, so there are national security issues as well. So that’s also the reason why we’re coming out with renewable energy, and so on. But just in recent years the renewable energy is not as developed as it should be because of the return of investment – maybe it takes too long, and so on. In my point of view, moving from fossil fuel to renewable is a decision of the politicians, because we are in the transition based on the energy sources of one of very few big players towards renewable – which should be operated and managed by many ´, many local players. Locally produced, locally utilised, and spreading out the risk and so on. And this is actually a political decision – it’s not only marketing, it is a decision. And that’s one aspect. In my point of view, the market competition is also a bit unfair. Indeed, renewable energy is still in the relatively early stage and the market maturity and business model maturity is not as well established as it should be, compared to fossil fuel. And people say that there is too much support or too many subsidies for renewable energy, but in fact actually, the fossil fuel, I think, is getting much more support from the government or from the big players. So my message is: we know the current energy system is not sustainable. We need to move from the fossil fuel economy to renewable – there’s no doubt about that. It’s for our future generations. And that’s actually a decision for the government, and government need to provide infrastructure and policy support to facilitate, grow and mature the business and help renewable companies move in that direction. It is also important to make sure there will be many, many local players involved in renewable energy production – it’s not one or a few big players. And that’s very important because that’s a great way to create jobs, which is another big benefit. So I think, once again, that this is a political decision and without the right political support, this industry will find it hard to move forward. TOS: Great answer, Jing, really interesting points. Mario, what are your thoughts on this? MR: In my personal opinion, the policies should incentivise the use of anaerobic digestion mainly for waste management. In that case the subsidies should go to those who demonstrate the lower greenhouse gas emissions. 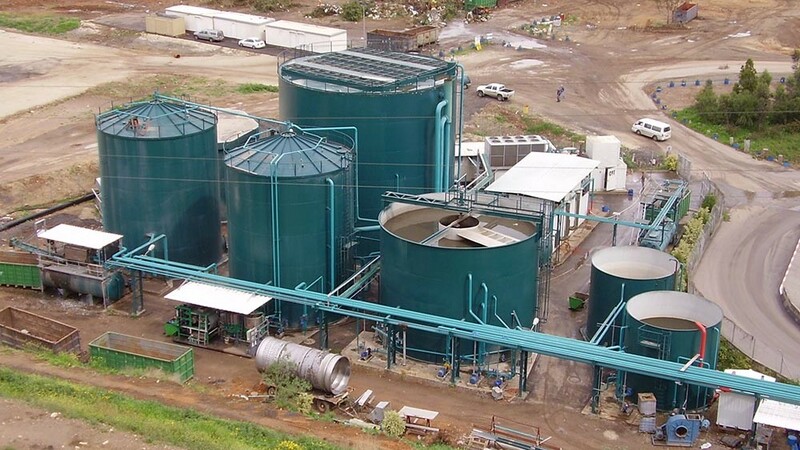 The biggest value of anaerobic digestion is the ecological value, apart of producing energy. It’s a way of reducing greenhouse gas emissions to the atmosphere, and to produce a fertiliser that means saving fossil fuel energy for the production of chemical fertilisers. So these repercussions have an enormous value from the political point of view. Compared to other energies, anaerobic digestion is probably the best technology that allows a complete circular economy. On the other side, the education is also very important. In order to drive a truck, you need to have a special license and undergo a lot of exams, which is absolutely logical because if you don’t know how to drive a truck, you can cause a lot of accidents. How can you explain, then, that nobody has ever thought about imposing the need of having a license for managing a biogas plant? An average Italian biogas plant has the power of ten trucks, and the damage it can cause to the environment if not correctly managed is enormous – it’s really a big environmental threat. So education of the operators of the plants is of utmost importance in my opinion. And this is an aspect that the policy makers have not considered until now. The other aspect is that a biogas plant, if correctly and rationally managed and run with adequate instruments that can measure the methane potential of the feedstock, can be run on any feedstock – that means many residual feedstocks. And this is the most sustainable way to obtain energy, rather than cultivating energy crops. So this is another aspect that in many countries in the European Union is missing. Many policies are still pushing the cultivation of energy crops instead of the production of energy with waste through anaerobic digestion. JL: I was thinking about adding one thing. I fully agree that the education and knowledge transfer is critical on the professional level, but I think also it’s very important to increase the public awareness – not just for the people but also politicians. 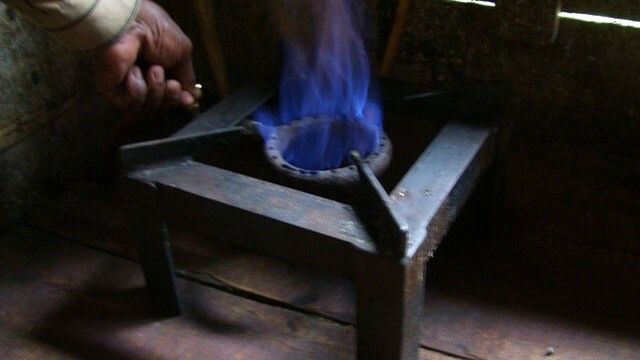 There has been an increasing scare, you can say, about A.D. People say, “Oh, A.D. and biogas process is too complex”. It is a complex process, but it can be well managed. It is a naturally, existing biochemical process, and what we need is just to intensify it and make it more efficient. And with the right education and increased public awareness, I think we can utilise this gift from nature and get the most out of it. Seldom can you find technology that can handle all kinds of biodegradable waste and stabilise it (which we need to do anyhow because waste is always there), and at the same time generate renewable energy. There’s no other technology that I can think of that’s comparable. So what we need is education and knowledge transfer to make sure that we see the benefit, we know how to operate it, and we create a good policy to support the development. Then, with this all in place, the right technology and good technology will naturally move to the sectors and be utilised, and consequently we will have much more profitable, economic, feasible and efficient process – and we can gain the benefits from the A.D. process. TOS: That was Jing Liu and Mario Rosato sharing their insights and experiences on the state of the AD sector today – and giving us some very interesting points to think about. From the discussion, we learned that first of all, we are not prioritising efficiency in plant operation today and this is having a negative impact both for the plant and for the environment. We need to build plants with efficiency in mind, invest in the right technology and in education and knowledge transfer systems so that plants can be run stably and efficiently, and feedstock can be managed properly. Education and understanding seemed to be key for both our guests. As Jing described – if the A.D. plant is a car, without a skilled driver in the front seat, the car will go nowhere. In terms of impacts on the environment – policy played a huge role in our discussion today as well. We heard from both Jing and Mario that policy which favours large-scale plants and the use of energy crops – as opposed to using locally abundant feedstocks and closed-loop systems – has lead to higher greenhouse gas emissions, a reduction of biodiversity and even a bad public image in the case of Italy, for example. A political decision needs to be made to support renewable energy and more small and local players, in order to build a truly sustainable AD sector, and plants should be rewarded for low greenhouse gas emissions. So, we have a lot of work to do, it seems, to get where we want to be. Let’s make it happen! TOS: The Organic Stream team were at Ecomondo last month to take part and report on the event. For those who don’t know, Ecomondo is the largest showcase in the Euro-Mediterranean area for advanced and sustainable technology for processing and recycling all kinds of waste. The event takes place in Rimni, Italy and was four days of conferences with over a thousand international speakers, and an expo with 1,200 companies taking part. This year the focus was on the green economy and how Italy is currently focusing on boosting the green economy in the country. The key message seemed to be that building a green and circular economy is possible today, and that they will play a central role in all industry sectors. Of course, there are challenges to face, however the companies and enterprises attending the expo were eager to find and demonstrate solutions – showing that there is an appetite for change. This year saw the introduction of new areas to focus in the circular economy context areas – particularly food, biorefineries, and integrated water cycle management. The generation of waste in the food system was a popular topic – as was the conference “Towards a zero-waste food chain: enabling technologies for the sustainability of the food industry and waste management in a perspective of circular economy”. Many different topics were discussed: the importance of separate collection schemes for organic materials, charges for pay as you throw systems, improving process efficiency in the food-chain, and strategies to reduce raw material losses. During this conference, we caught up with a few key figures to discuss the main points of interest at the event, and get more of a sense of the Italian situation. We caught Marco Ricci – Chairman of the Working Group on Biological Treatment of Waste at the International Solid Waste Association, and former guest of our talk show – and he filled us in on the importance of biowaste recycling for Italy, and the challenges they’re currently facing. MARCO RICCI: Italy source separates roughly fourty-two percent of all municipal solid waste, and biowaste is the key element to reach this result. One of the challenges is to expand the separate collection scheme of biowaste to the southern region where there is a lack of composting and anaerobic digesition infrastructure and where the separate collection schemes are realised spot-wise and not on a general area. The other point is that we had a recent report by the Italian environmental agency, which shows that intensive recycling schemes for municipal solid waste, including biowaste and especially food waste, are highly cost competitive to traditional solutions, which just rely on low recycling rates and high rates of landfilling and disposal. TOS: Exciting news from the report that helps to support separate collection, which many municipalities in Italy have been having great success with as well. FABIO FAVA: There are for sure new areas on which, in my view, we should work more in the future. Over sixty percent of the lands that we have in Europe are rural areas in which the environment is different from more populated ones. Often we are not exploiting the potential of this area in an efficient manner. So we need strategies and research and innovation tailored for promoting small industrial activities in this area – industrial means agricultural companies also – that are exploiting in the proper way the biodiversity that are specific for those areas. TOS: There was much to cover over the course of the event, but particularly interesting was our chat with Andrea Miorandi – Ex-Mayor of Rovereto City, who implemented a separate collection scheme there. Mr. Miorandi was keen to stress the importance of citizen engagement in implementing organics recycling schemes, and shared some inspiring words that really summed-up the feeling at Ecomondo – that we’re ready to change. ANDREA MIORANDI: The biggest challenge is to make citizens be participants in a good project. Citizen awareness and participation are the biggest challenges for these projects. Citizens must become protagonists even before the local administration or local authority. And we started a communication program that is both precise and locally-based. Well-informed citizens are enabled to participate in separate collection recycling. Citizens also need to be rewarded and local authorities need to thank citizens once expected results are reached. Citizens must understand that their power in sorting waste end up a good result in recycling for a better future and as an investment for the future of their children. I do suggest that other mayors not fear to introduce revolution in the scheme and demand for changing its habits regarding waste collection. Citizens are ready. New generations fully understand how important it is to preserve the environment. TOS: So that’s it for our round-up of the Ecomondo 2015 highlights, and for our episode today. I hope you enjoyed the show! For a longer briefing from Economdo, head over to our Events page where you will find resources, pictures and video briefings from the key figures we spoke to. Just press the play button on each episode to listen. You can also subscribe with the suppliers listed above. When you subscribe to our podcasts, you can listen to the latest stories and news from the composting & recycling world whenever you wish on your phone or computer! Choose your prefered supplier above. Enjoy the organic stream and never miss a new episode! #28Strategic Outlook: What Direction for Waste Collection Technologies?